Many patients are unaware that there are types of chiropractic care that offer more than just relief from pain. There are usually a few reasons why a patient seeks out chiropractic care. When you schedule an appointment with a chiropractor, he or she will discuss the type of care that is offered at their practice. The following explains some of the most common chiropractic care available to patients. It is typical for a patient to begin visiting a chiropractor in order to receive treatment from neck, back pain and/or migraines and headaches. Although the types of chiropractic care cannot cure these types of ailments, the care does allow the body to begin healing itself. This is accomplished by treatments and therapies that address any dysfunction in the spine or the nervous system. Instead of using medication, patients can receive chiropractic adjustments to realign the spine and remove anything that is interfering with the nervous system’s ability to operate correctly. As a result, the body will begin to naturally heal. Patients who are receiving chiropractic treatment for pain relief often notice within a short amount of time that regular chiropractic adjustments have allowed their spine to become stronger. They also understand that with preventative care their problems will not resurface. Preventative treatments will allow the chiropractor to correct any misalignments before the patient begins to experience pain. Although this type of care is often considered to be preventative care, health and wellness chiropractic care focuses on more than just prevention. The ultimate goal with this type of care is to allow the body to heal to its optimal level. When subluxations are corrected, blood flow and nerves are able to flow to all cells and tissues in the body. Patients feel better and are able to function properly. These patients do not get sick as often, they have more energy and they live healthier lives. 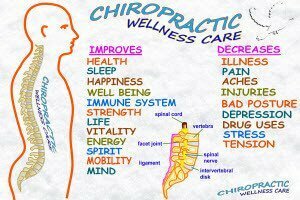 All types of chiropractic care are safe and this care allows the body to heal on its own. Patients are able to eliminate chronic pain and prevent other issues before they become bigger problems. At Champion Chiropractic, we believe in educating our patients about the advantages of receiving chiropractic care. Contact us to schedule an appointment.